Installing the best whole house water filter system is the most effective way to thoroughly filter your tap water. These systems connect to your main water line and provide clean water to every faucet, shower, and washer in your home. There is growing concern over the safety of residential tap water due to a series of high-profile cases involving lead in the drinking water. Lead exposure is linked to brain development issues in children and may increase the risk of heart disease and cancer in adults. Along with lead, your tap water may be contaminated with high levels of other minerals such as manganese, sulfur, and calcium. These minerals can lead to hard water, stains, and bitter-tasting water. 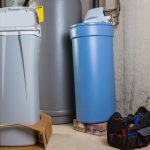 If you want to avoid the inconvenience and potential health risks of dirty water, take a moment to review this complete guide to buying and installing a whole house water filter system. What Does a House Water Filter Do? Before getting into any of the other details, it is imperative that you understand exactly what a house water filter is. You could probably guess what it does judging by the name but it is good to go over everything in an in-depth fashion anyway. A whole house water filter will filter all of the water that is coming into your house. Typically, these whole house filters are installed before the water even gets into your heater so you will truly be experiencing completely filtered water throughout your entire home. Whenever you use water in your home, you will be able to have the best and safest possible experience. All of your taps will produce filtered water and even water that is used for other purposes will be filtered. The water that you use to shower in the morning is going to be completely filtered and so is the water that you use to flush your toilets. Every aspect of the running water in your home is going to be filtered for your safety. Some people might think that this is a bit unnecessary while others will feel better knowing that the water is going to be as pure as possible. Being able to avoid using bad water is definitely a benefit. You don’t want to have to drink water that tastes bad or use water that has a foul odor in your shower. 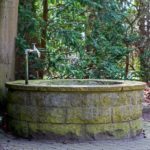 Some places in the world, and even in North America, do not have good running water. These whole house water filtration systems are extremely beneficial for anyone who doesn’t have access to pure water. It will make sure that the water in your home is safe to drink for you and your family. It will also ensure that the water being used for your laundry and for bathing is of the highest quality. It is up to you to decide whether or not this is important to you. There are many people who are getting whole house water filtration systems installed in their homes. People want to have access to the cleanest water possible and these water filtration systems are able to provide that for them. There are many differences between the different filtration systems that are on the market, though. If you are interested in the idea of owning a filtration system but you don’t know much about it, then you would benefit from learning a bit more about them. This whole house filtration system for your water is going to be perfect if you have a very large family. It will last you for a very long time as it can be used to produce 1,000,000 gallons of purified water. This is enough to last most people ten years so you know that it will be worth the investment. It is the most expensive option on this list but it is also the filter that will allow you to go the longest without changing it out. This particular water filter has several variants that you can purchase as well. It is possible to purchase it with a water-softening unit that can help you to eliminate hard water from your home. This water-softener is completely salt-free, so you won’t be left with water that has a funny taste. Making use of a filtration system like this one is going to allow you to enjoy healthier skin and your hair won’t dry out due to poor water quality. Culligan is a brand that many people trust and they have created a nice affordable filtration system here. This Culligan whole house water filter is capable of eliminating many things from your water. It can reduce sediment, sand, rust, silt, chlorine, and much more. You can insert different filtration cartridges into this unit and it will filter out different things depending on the cartridges that you are using. This is a substantially different approach than many of the other filtration systems are taking on this list. This filtration system can be purchased at an affordable price and it is easy to use. Being user-friendly is a nice feature when it comes to these whole home water filters. You don’t want to feel overwhelmed, as you simply want to enjoy the benefits of having purer water. Installing the cartridges into this unit is very easy, so you won’t have a tough time. If you want to have access to a whole home water filtration system at a very affordable price, then this is going to be one of your best options. You will be able to protect your home very effectively with this unit, but it won’t be quite as powerful as some of the more costly options that will be mentioned later on. This filter can protect your family from things such as sediment, dirt, and rust. This will allow you to feel at ease when you go to get a drink of water from your tap. Of course, this will also protect your washing machine, water heater, and other appliances that make use of water as well. This filter doesn’t have some of the more advanced filtration systems that can remove the smallest particles from your water. Despite this, it will substantially improve the quality of your water without forcing you to spend too much of your hard-earned money. You just need to decide whether or not you want a more advanced model or if this will suit your purposes. This is one of the most popular water filtration systems on the market today. It includes a sediment filter as well as a CTO filter. If you want to purchase an affordable whole home filtration system for your water, then this is going to be a great option to consider. The overall affordability of this filtration system is one of its most appealing features but it does work very well. Some people see this as a small step up from the Watts water filtration system that is mentioned above. You will be able to enjoy having pure water without having to worry about difficult installation. Some water purification systems are very laborious to install, and this makes people shy away from purchasing them. This unit is actually really simple to insert into your system, so you can have purified water in your home without it being too much of a hassle. Removes dirt, dust, sand, silt, chlorine, and compounds such as insecticides, pesticides and industrial solvent. This product is another contender for the most useful water filtration system that is also affordable. You can purchase this unit very inexpensively and it is still effective at eliminating many contaminants from your water. If you want to be able to reduce the amount of sediment in your water without having to spend much money, then this is the type of water filter that you’re looking for. You need to keep in mind that this filter is only rated at 15,000 gallons, though. This means that you will have to replace this filter after several months of use. An average family may be able to use this filter for several months before needing to replace it. It is up to you to determine whether this is going to be cost-effective enough to warrant a purchase. This is a worthy filtration system that is simple to install, it just doesn’t have a lot of longevity. Buying a reverse osmosis water filtration system is going to prove to be a worthy investment. This model is capable of eliminating dangerous elements such as lead from your water. You will be able to feel completely safe when you purchase a whole home water filtration system such as this one. The price is actually quite reasonable when you take into consideration all that you are getting. If you are concerned about lead, then getting a filter that specifically touts being able to eliminate it is a smart idea. Many people have seen the harmful impact that lead can have on drinking water. Keeping your family safe is of the utmost importance, and this reasonably priced filtration system can help you to do just that. This is one of the most thorough water filtration systems on this list, as it features five full stages of filtering. The more filtering that is done the better, as you will simply have purer water as the end result. This unit can eliminate so many harmful chemicals and other contaminants from your water. You’ll be able to enjoy crisp and refreshing drinking water and you won’t have to worry about showering in contaminated water either. Buy this water filtration system if you want advanced filtering at a fair price. iSpring has produced one of the most powerful home water filtration systems on the market. This model is going to give you access to an incredibly powerful multi-step filtration system. The carbon block filter is going to keep your water as pure as it can possibly be. This is more expensive than some of the other options that are available but the quality of this unit is undeniable. If you decide to purchase a quality filtration system like this, then you will be able to purify your water to a very high degree. It will eliminate many harmful elements from your water such as chlorine, iron, pesticides, rust, Manganese, herbicides, and many other types of contaminants. It’s advanced enough that it won’t eliminate minerals that are beneficial to your water as well. This is a fantastic system that is going to make the water in your home much safer, so it’s definitely worth the price. Home Master has created a water filter that is highly effective for purifying water for your entire home. This filter has a 95,000-gallon capacity, making it perfect for a family of four. If you want to be sure that you will have enough filtered water to go around in your household, then buying this filtration system is a good choice. It is a multi-stage filter as well, meaning that you will have several stages of protection when it comes to purifying your water. Buying whole home water filtration systems that feature a multiple stage filtering method allow you to feel more at ease. Anything that the first filter doesn’t catch, the second filter is going to further eliminate. These filters can be a little more costly, but they do eliminate smaller particles than those only featuring a sediment filter and then a normal filtration stage. People who care about the quality of the water that they’re using in their home are well-served by purchasing a good filter like this. Interestingly, Home Master has created another filter that is even more desirable than the one mentioned above. This filtration system adds another stage to the process and this allows it to purify your water even further. It can boast about being able to extract iron and carbon from your water, as it is capable of filtering things out down to a size of one micron. Even if you aren’t well-versed in what a micron is, you can feel confident knowing that this system filters out a lot of impurities from your water. Aside from being able to filter out a bit more than the previous model, this also has a slightly greater capacity. The 100,000-gallon capacity means that it will provide pure water for a family of four for an entire year. Being able to go a full year without needing to replace a filter is excellent. The replaceable coconut shell carbon filter is easy to install as well, so you will be able to easily put a new one in once your year is up. This is a highly recommended filtration system as it can provide you with advanced water purity and is very user-friendly. How Do Whole House Water Filtration Systems Work? Filter systems are not always designed in the same way. However, they often share the same basic functions. They are typically connected to the main water line, allowing the water to get filtered before it reaches the water heater. This ensures that both your cold and hot water are filtered. The water that enters your home from the public water supply or your own private well reaches a sediment pre-filter. The purpose of this filter is to remove large debris such as sand, rust, sediment, and other particles from the water. After passing through the sediment pre-filter, water passes through an activated carbon filter. These filters help remove any remaining sediment along with chlorine and some of the heavy metals that may be found in your water. The activated carbon filter can also help remove contaminants that produce foul tastes or odors. The next filter is the copper-zinc filter. This filter is designed to remove the harmful contaminants that most people are concerned with, such as lead, manganese, and nitrates. That three-stage filter process is found in most whole house water filters. However, depending on the system that you choose, you may find additional filters and features. For example, some filters include a water softener, a post filter, or a UV filter. The water softener can get rid of magnesium and calcium particles in the water, softening the water. The post filter is a filter that provides one last pass-through to remove small particles. If the system has a micron rating of 0.35, it likely has a post filter. The UV filter is intended to kill bacteria and harmful microorganisms that the previous filters may not get. These filters are optional and are typically recommended for households that have bacterial contamination. Why Do People Need Whole House Water Filters? Many people need whole house water filter systems because their water that is coming out of their taps is bad. If you have been paying attention to the news over the last several years, then you have likely heard stories of certain cities having issues with their water sources (video below). Some cities, such as Flint, MI, have had issues with lead being found in their water. This is an extremely scary situation as consuming lead is very harmful to the human body and can lead to various health problems in children. People in the city of Flint, MI have had to deal with such negative complications due to their water problems. This has lead to many health problems among the citizens and bottled water is the only source of clean drinking water for many of these people. It can be difficult to understand how a situation such as this can occur in such a well-off nation but it simply drives home the fact that whole house water filter systems have an important place in the market. Many businesses in towns that have been faced with water problems have chosen to install water filters such as this as a solution. Being able to avoid extremely negative situations such as this is one of the primary reasons why people seek out whole house water filter systems. Even showering in water that is contaminated in some way can have negative effects on the human body. This can be completely avoided by purchasing a powerful water filter to keep you and your family safe. Lead is certainly not a common problem in most of the country but many people do have chlorinated water. Chlorinated water is not good to drink at all. You see, chlorine has been in use for many years at water treatment facilities. It is used to disinfect water and to eliminate certain harmful substances. This is great; however, it tastes absolutely horrible to some people. Other people have been drinking this type of water for a long time and have grown accustomed to it but it is still bad for their overall health. Drinking water that has chlorine in it has been shown to have a negative impact on people’s health. This is mostly true when the water is consumed in large quantities but being that doctors recommend drinking eight glasses of water a day, it is best to err on the side of caution. You will certainly notice that chlorinated water will be bad for both your skin and your hair. It can significantly dry out your skin and will make your hair look less brilliant than usual. You can avoid all of these problems by simply purchasing a whole house water filtration system. These filters are incredibly powerful and they will filter out any of the chemicals and other undesirable substances that you need them to. This is going to keep your drinking water as pure as it can possibly be. Being able to use the water throughout your entire home ensures that you won’t have any problems with contaminated water. Not all water filters are built the same and not every home requires the same filtration solutions. This can make it a challenge for homeowners to purchase their first filter systems. You may not know which features to look for or how these systems work. Home water filters connect to your water supply at the main water line, ensuring that all water that enters your home is filtered before passing through your pipes to your various appliances and plumbing fixtures. There are several important features to consider when shopping for a filter. You need to consider your average water consumption, the number of appliances and fixtures in your home, and what types of contaminants are present in your water. Regardless of the system that you purchase, the primary function is the same. The system filters unwanted contaminants from your water, ensuring that your water is free of harmful minerals, bacteria, and pesticides. These contaminants may impact your buying decision. The most efficient house filters can remove almost any contaminant from your water supply. However, some of the more affordable models may only remove the most common threats such as lead, nitrates, and bacteria. Before you purchase a water filter, you may need to test the quality of your water. A home testing kit can alert you to the presence of harmful minerals that may not be filtered by certain house filters. For a detailed look at your water, you can send a sample to a lab for a thorough analysis. Once you now which contaminants are present in your water (more on this later), you can start searching for a filter that is designed to help eliminate your problem. These are some of the main factors to examine as you begin comparing whole house water filter systems. Explore each item in detail to find out how they impact the filter’s ability to provide clean, safe water in your home. The flow rate is one of the most important features of the house water filter. If the flow rate is too low compared to your water consumption, the filter will not work properly. Depending on the system, this may result in lower water pressure or keep the filter from thoroughly filtering your water. The average household uses about 15 to 40 gallons of water per minute when using multiple appliances, sinks, and toilets. A small home with one or two occupants may get by with a filter that offers a flow rate of 10 gallons per minute. However, the average home will likely need a system capable of filtering at least 20 gallons per minute. The next features to consider are the filter size and the average filter life. These issues can impact how frequently you need to change the filter and have your system serviced by a professional. Typically, a larger filter also allows for greater flow and water pressure. However, the port size of the filter has more of an effect on these details. What the filter size does impact is the frequency of needing to service the filter system and replace the filter cartridges. Ensuring that the filter is large enough based on your water consumption will help provide clean water through your home without causing unnecessary strain on the filter system. This may prevent unnecessary wear and tear that can shorten the life of your filter. The filter life is the estimated number of gallons that the filter cartridge will last. Filter cartridges can last between 100,000 and 1,000,000 gallons. A longer filter life means that you do not need to change the filter as often. Whole house water filtration systems include a micron rating. Microns are unit of measurement. One micron is one thousandth of a millimeter. Most filters have a micron rating of one, which indicates that they will block any contaminants larger than one micron. However, there are more expensive filters that can block anything larger than 0.35 microns. You should also pay attention to the port size of the filter. The most common options include three-quarter-inch and one-inch ports. If your home features three-quarter-inch piping, it is still recommended that you get a filter with a one-inch port. This will ensure proper water flow and help prevent any changes in water pressure. The final features to consider are difficult to explore without reading product reviews and customer testimonials. However, you may want to learn more about the durability and ease of installation before making a purchase. Water filters process a lot of water each day. The system you choose should handle your water usage without breaking down. When you read customer reviews, look for any issues related to repairs or replacement parts. The ease of installation will only affect you if you plan on installing the system yourself. While most of these systems provide a straightforward installation process, plumbing projects can quickly spiral out of control if you do not have any plumbing experience. Simply forgetting to properly tighten a pipe can result in leaks and other complications. If you plan on installing the system yourself, look for customer comments concerning the installation process. Why Should You Install a Whole House Filter System? A whole house water filter is not your only option for filtering your drinking water. You can also purchase individual filters that attach the sink faucet or pitchers that slowly filter the water. These products are cheap and easy to use but they do not offer the same level of filtration as a complete house water filter system. There are several reasons why whole house filtration systems are more effective. They connect to your main water line, ensuring that all water entering your home is filtered before reaching your bathrooms or kitchen. Whole house systems are also more efficient than other options. With a system that filters all the water in your home, you can receive hundreds of gallons of purified water each day. These systems feature large filters that can remove more particles over a longer period without needing replacement as frequently. The benefits of having a water filtration system are clear by now. You know what they can do for you but you just need to determine whether or not it is going to be a worthy purchase. You should take the time to consider your situation carefully before deciding. 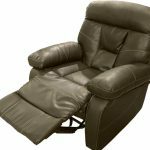 This is definitely a major purchase but it is one that can make your house much more pleasant, depending on the water situation in your home. Consider purchasing a home water filtration system if you have any issues with chemicals in your drinking water. If you don’t enjoy the taste of the water coming out of your taps, then you should enjoy remedying that situation with one of these powerful filtration systems. It will allow you to use the water in your home much more effectively and you won’t feel the need to purchase items such as bottled water. It is also smart to buy a filtration system if you notice that your skin is becoming too dry. The chlorine in the water can really have a negative impact on your body if you aren’t careful. Depending on the levels of the chlorine that is present in your water, it could really change your skin quite significantly. It also isn’t good for your hair whatsoever. Hard water is another huge reason to consider getting a new filtration system. Whole house water filtration systems can help you remove the calcium and magnesium that are present in your water. These items are what is causing your water to be hard and more difficult to make use of. 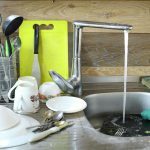 If this is your main reason for seeking out a whole house water filtration system, then you will want to be sure that the unit you’re buying is capable of eliminating hard water. Most filtration systems are going to be capable of softening your water through the removal of magnesium and calcium deposits in the water. You just need to be sure that you are buying the right unit to suit your needs. This goes for any type of water filter as you will want to examine the capabilities of the unit before making a purchasing decision. This is just smart and it allows you to be in control of purchasing a unit that is going to work great throughout your entire home to fix your water problems. After purchasing a house water filter, the next step is to install it in your home. For the best results, you may want to allow a professional to handle the installation. An experienced plumber or water filter installation technician can ensure that the system is properly connected and working, limiting the need to hire a professional for repairs. If you choose to install the system on your own, you should follow a few precautions. You will also need the right materials and tools. You will need a bucket, a pipe cutter, various wrenches, and Teflon tape. The first step is to turn off the main water supply. You can then open a faucet from the lowest point in your house. This will drain most of the remaining water and pressure from the system. You will need to choose the right location for the filter. It should go near the main water line before reaching the water heater and should provide easy access to the filter cartridge. When you choose a location for the filter, mark the section of pipe that will need to be removed to allow the installation of the filter. Cut the pipe using a pipe cutter. With the pipe cut, you can attach the fittings. These should be placed on the in and out ports of the filter. Add Teflon tape to ensure that you get a tight fit when installing the filter. Position the filter between the two cuts that you made. Place compression nuts on each open end of the pipe and then connect to the filter housing. Tighten the nuts while ensuring that the filter is still straight. You have now installed your filter system. Slowly turn on the water supply and check for leaks. Are These Water Filter Systems Good for the Environment? In many ways, you can consider these whole house water filtration systems to be good for the environment. There are so many people in North America who choose to purchase bottled water rather than drinking the water that is coming out of their taps. Tap water is undesirable to many people because it has a bad taste due to all of the chemicals that are inside of it. This causes people to turn elsewhere when they are in need of tasty drinking water. The problem is that these bottled water options are very bad for the environment. Plastic bottles are not biodegradable and they present a huge threat to the well-being of the planet. The prevalence of bottled water is causing the ocean to become filled with unwanted plastic garbage. Scientists have estimated that by the year 2050, there will be more plastic in the ocean than there are fish. This point should help you to understand that it is a good idea to shy away from bottled water. When you install these water filtration systems in your home, it allows you to use the tap water instead of purchasing bottled water. You can more conveniently fill up one of your own reusable water bottles with your tap water instead of having to spend money on bottled water every week. It will save you an ample amount of money in the long run and you will be able to do something positive for the environment. You will also be reducing your carbon footprint in another way that you may not have thought about. Bottled water has to be brought to the stores where it is sold using large trucks. These large trucks produce carbon emissions and contribute to the global warming problem that is becoming increasingly worse. Less bottled water being sold will mean fewer trucks transporting it so it is definitely a win for anyone who cares about the environment. Your home should be a safe, comfortable environment for you and your family. Unfortunately, many homes have a difficult-to-detect danger lurking inside their water supply. The quality of your drinking water may pose a health risk, depending on the presence of harmful contaminants. Lead, bacteria, and other substances can cause a variety of health issues. The first step in preventing these issues is to test your drinking water. If you find high levels of contaminants, there are ways to ensure that you and your family always have clean, pure drinking water. There are several options for homeowners who want to test drinking water quality. These include home testing kits, testing laboratories, and your local water company. The fastest way to test your water is to use a home testing kit. These kits are available at most hardware stores, in home improvement stores, and online. The strips do not typically provide an indicator to let you know the levels of minerals found in your water. They simply let you know that higher-than-normal levels are present. However, these home kits are still a useful way to discover if you need professional testing. What Contaminants Do These Testing Kits Detect? The number of contaminants that you can test for depends on the kit that you purchase as each strip only tests for one mineral or contaminant. Some of the cheaper kits include strips to test for the most common issues including lead, chlorine, bacteria, pesticides, hard water, and pH imbalances. The strips are easy to use. Typically, you will place the strip in a glass of water filled from the tap. The strips contain a dye that reacts to the presence of specific minerals or bacteria. When these substances are present, the strips change color, letting you know that you have high levels of a specific contaminant. If you want a more detailed analysis of your tap water, you may need to contact the professionals. Testing laboratories are available to test your water and provide a thorough report of all contaminants and substances found. For the most accurate results and detect certain water problems, some labs may need to visit your home to collect an on-site sample. However, there are also many situations where you can simply send a sample to the lab for analysis. If high levels of harmful elements are found in your water, the company that tested your water can also provide recommendations to improve the quality of your water. This may include the use of faucet filters or the installation of a complete water filter system. What Is the Advantage of Professional Testing? The advantage of professional testing is that you get a more accurate analysis of your water. Experienced lab technicians using the proper equipment can detect all compounds found in your water. Your water quality report will include a breakdown of everything found, including the levels of each contaminant and whether these levels exceed the federal safety standards. You can also find useful information about your public water system by contacting your local water company. Public water systems are monitored and tested regularly to ensure that the water meets the national standards for drinking water. The results are provided to state and federal governments, creating a record of any contamination issues. Your water company is also required to disclose any contamination issues as they are detected. They also need to provide customers with an annual water quality report. This report typically appears with the normal water bill toward the middle of summer. You may also find details about your public water system by searching for the results online. Several organizations help monitor and track drinking water concerns throughout the country, allowing the public to search for issues in their zip codes. What is the Best Way to Test Your Water? There are several ways to learn more about the safety of your drinking water. Contacting your local water company or searching for reported issues online is a good starting point. You may find that your area has high levels of lead without the need to test your own water. However, the information that you find is not specific to your home. This is also not an option for people with a private water supply, such as a water well. For a closer look at the water in your home, you will need to either use a home testing kit or allow a professional lab to test your water. There are pros and cons to both options. Home testing kits are cheap and convenient. You can purchase the kit at a local store or online and get instant results. The drawback is that these tests only alert you to the presence of high levels of a contaminant and do not let you know how high the levels are. The most complete and accurate solution for testing your water is to contact a professional water testing laboratory. These labs can thoroughly analyze your water quality and offer solutions for improving your drinking water. When Is the Best Time to Test Your Water? You can test your water at any time. However, testing in the spring or summer may provide more accurate results. There are also situations or events that may provide an extra reason to test your water. If you have just moved into a new home and the water tastes funny, you may want to learn more about the water. You may also want to test after replacing or repairing pipes, wells, or any plumbing fixtures. Some doctors recommend that you test your drinking water for high levels of nitrates after finding out that you are pregnant. Nitrates are more common in rural water supplies due to the use of fertilizers and manure in nearby areas. These substances can cause nitrates to seep into the groundwater. While nitrates are not a major concern, they can produce a condition called methemoglobinemia in infants. This condition is also called blue baby disease. The skin of affected babies may turn blue and they may experience vomiting, diarrhea, and difficulty breathing. You may also want to test your water if you have noticed any changes to the water. For example, you may notice a bitter taste or that your white clothing is stained. These signs may indicate high levels of manganese, iron, or salt. Unexpected illnesses or recent chemical or fuel spills in your area may also provide a reason to test your water. However, you do not need to wait for any sign or situation to test your water. If you are curious about the health and safety of your home, you can test for the most common contaminants. Why should you be concerned with the quality of your drinking water? The biggest concern with water quality is the health risks of drinking water contaminated with harmful bacteria or high levels of minerals. Besides the safety concerns, contaminated water can lead to several less serious issues. Contamination may lead to a difference in the taste, odor, and color of your water. It may also cause stains on your clothing, spots on your dishes, and damage to your plumbing fixtures. The risks of these issues depend on the type and levels of the contaminant in the water. The main contaminants that you can test for include lead, manganese, iron, salt, sulfur, and nitrate. Home water testing can also help detect the presence of bacteria and pesticides. Lead exposure is the water quality issue that has received the most attention lately. Dangerous lead levels in your water are connected to a variety of health complications related to lead poisoning, especially for children. The severity of lead poisoning depends on the duration of exposure, the concentration of the lead, and the total amount of lead that was consumed. For children that are exposed to lead, the biggest threat is a reduction in brain development. Children with high levels of lead tend to have more developmental issues and a lower IQ. Adults can also suffer from lead exposure. Potential issues include increased risks of high blood pressure, heart disease, and cancer. Lead exposure may even lead to fertility issues and limit the chances of pregnancy. The presence of lead in home water supplies is often due to the use of old pipes or lead solder in your plumbing. Lead pipes were commonly used as the lead material is relatively resistant to corrosion. However, over time, lead can leach into the water supply. Home testing kits and professional testing will help uncover the presence of high lead levels. Your water company should also alert to abnormally high levels of lead. Along with lead, you should pay attention to the levels of other minerals, including iron and manganese. While your body benefits from small doses of these minerals, high levels can cause several irritations. Manganese may cause your water to have a bitter taste. It may also change the water to a slightly black or purplish color that stains fixtures and clothing. Iron can have similar effects. It is typically orange or yellow and can cause stains on your clothing and fixtures. The are no major health concerns related to high levels of manganese or iron. They are mostly a nuisance due to their ability to cause stains and a bitter taste. As with lead, you can detect these substances with a home testing kit or with a professional analysis at a qualified lab. Besides the health risks of drinking poor-quality water, there are other potential risks. Hard water is a common problem with tap water that may lead to a mineral buildup in your pipes and interfere with your ability to clean your home and clothes. Harder water is often the result of dissolved calcium and magnesium. Calcium sulfate can also pose a problem and is more likely to result in permanently hard water that does not go away without treatment. The most commonly used treatment is a water softener system that helps remove the salt, calcium, or magnesium from the water. Sulfur can also lead to issues with your tap water. It tends to have a horrible odor that people often describe as smelling similar to rotten eggs. While there are no known health risks to sulfur in the drinking water, it is annoying to deal with. How Can You Improve the Quality of Your Drinking Water? The most efficient solution for improving water quality in your home is to install a whole house water filter system. Other options include faucet and pitcher water purifiers. Using a small water filter that you attach to your sink can help remove some of the contaminants from the water. However, these compact purifiers are less effective than a complete filter system. They may only filter certain contaminants and do not provide a multi-stage filtration solution. A complete filter system for your home not only filters your drinking water but it filters all the water that comes through your pipes. This ensures that hard water and high levels of minerals do not stain your clothes or fixtures. Keeping your water clean and safe is easy. The hard part is detecting the presence of harmful contaminants. However, there are several options available to help you evaluate the safety of your water. If you are concerned about the quality of your water, you should first check with your water company or look for a bill containing the annual water quality report. The report may include information concerning the safety of your water. For further review of your water, you will either need to use a home testing kit or allow a lab to test your water. The home tests let you know when something is wrong while the lab can let you know how bad the problem is and provide solutions. Buying a home water filtration system may seem a bit intimidating at first. There is a lot to consider and you want to make sure that you are getting the right filter that will work well in your home. Just take your personal water situation into account before making your big decision. You will be able to find the perfect whole house water filter to suit your needs and you will be enjoying pure water before you know it. Blokker EJ, van de Ven BM, de Jongh CM, Slaats PG. Health implications of PAH release from coated cast iron drinking water distribution systems in The Netherlands. Environ Health Perspect. 2013 May;121(5):600-6. doi: 10.1289/ehp.1205220. Cooksey C. Health concerns of heavy metals and metalloids. Sci Prog. 2012;95(Pt 1):73-88. Espejo-Herrera N, Cantor KP, Malats N, Silverman DT, Tardón A, García-Closas R, Serra C, Kogevinas M, Villanueva CM. Nitrate in drinking water and bladder cancer risk in Spain. Environ Res. 2015 Feb;137:299-307. doi: 10.1016/j.envres.2014.10.034. Migeot V, Albouy-Llaty M, Carles C, Limousi F, Strezlec S, Dupuis A, Rabouan S. Drinking-water exposure to a mixture of nitrate and low-dose atrazine metabolites and small-for-gestational age (SGA) babies: a historic cohort study. Environ Res. 2013 Apr;122:58-64. doi: 10.1016/j.envres.2012.12.007. Sabath E, Robles-Osorio ML. Renal health and the environment: heavy metal nephrotoxicity. Nefrologia. 2012 May 14;32(3):279-86. doi: 10.3265/Nefrologia.pre2012.Jan.10928. Schnur J, John RM. Childhood lead poisoning and the new Centers for Disease Control and Prevention guidelines for lead exposure. J Am Assoc Nurse Pract. 2014 May;26(5):238-47. doi: 10.1002/2327-6924.12112. Warniment C, Tsang K, Galazka SS. Lead poisoning in children. Am Fam Physician. 2010 Mar 15;81(6):751-7. Waseem A, Arshad J, Iqbal F, Sajjad A, Mehmood Z, Murtaza G. Pollution status of Pakistan: a retrospective review on heavy metal contamination of water, soil, and vegetables. Biomed Res Int. 2014;2014:813206. doi: 10.1155/2014/813206. What Are the Benefits and Dangers of Drinking Distilled Water? This reminds me of the hot water tank I used to have in my house. It was supposed to heat up all the hot water we used. This tank was very old and very dirty. I was always scared of using water from the hot tap. This water filter is exactly what my house needs. Thanks for this post. You’re welcome, Juliet. I hope you find a filter that meets your needs. I have always filtered my tap water for drinking just using a tabletop jug filter which can get quite tedious sometimes if you are just after a quick drink of water. I always thought that buying a house water filter system was going to cost me an arm and a leg so I have never bothered looking into out, and boy was I wrong! I know you pay for quality but what is the quality of the Culligan WH-HD200-C filter? If you need a good filter with pressure release, bypass and off valve that common elements will fit, and do not wish to splash out, the Culligan WH-HD200-C filter might be a good deal. Unlike some affordable filters that have weak bodies, poor mounting arrangements, and leaking o-rings, the Culligan WH-HD200-C filter has a strong rigid body, well-seated o-ring between the body and head, and excellent mounting bracket. Besides giving you an increase in water flow, this filter will also improve the quality of your water. Some potential buyers might be worried that the male threaded connections are plastic, but these wrap the outside diameter of the female threads so that the plastic body fits within a band of stainless steel to prevent it from expanding to the point of breaking the system. This should not discourage you from trying the Culligan WH-HD200-C filter. 3 What Does a House Water Filter Do? 5 How Do Whole House Water Filtration Systems Work? 6 Why Do People Need Whole House Water Filters? 9 Why Should You Install a Whole House Filter System? 12 Are These Water Filter Systems Good for the Environment? 13.1.1 What Contaminants Do These Testing Kits Detect? 13.2.1 What Is the Advantage of Professional Testing? 14 What is the Best Way to Test Your Water? 15 When Is the Best Time to Test Your Water? 19 How Can You Improve the Quality of Your Drinking Water?